Habits are a powerful thing. We don’t even realize some of the habits we have until someone points them out to us. That’s just how ingrained in us they are. We are our habits and our habits are us. I believe some habits will keep us the same. They’ll halt our transformation. Then there’s a second set of habits that will supercharge our growth and transformation. Obviously, supercharge habits are the ones we should all want to form. Unfortunately, throughout life we’ll undoubtedly pick up the ones that halt our transformation as well. 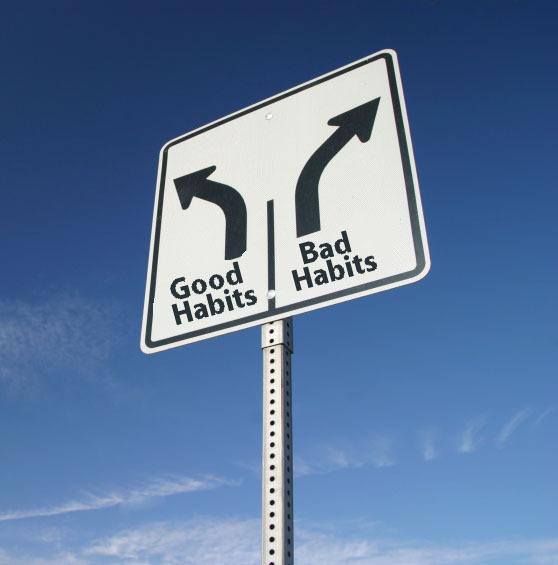 The key to changing our habits is to first become aware and then to make the decision, backed by commitment to replace the bad habits with the good ones. Below are my top 10 quotes on habits. What quotes would you add? What habits do you struggle with the most? What habits are you most proud of?